Siemens Assisted with Stuxnet's Development, claimed by Iran ! 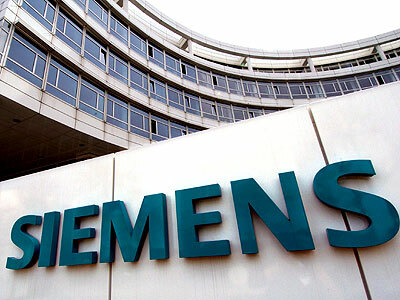 A senior Iranian official accuses Siemens of willingly assisting the Stuxnet creators by providing the source code necessary for them to exploit its software. Iran's state news agency, the Islamic Republic News Service (IRNA), quotes Brigadier General Gholam Reza Jalali as saying the German engineering giant played a part in the development of the world's most sophisticated malware. "Siemens should explain why and how it provided the enemies with the information about the codes of the SCADA software and prepared the ground for a cyber attack against us," Jalali told IRNA. "It was a hostile action which could have inflicted serious damage on the country if it had not been dealt with in a timely manner," he added. Jalali's remark might be a result of a The New York Times report that pointed at Israel and the US as likely Stuxnet creators and mentioned that Siemens worked in 2008 with the US Idaho National Laboratory (INL) to identify vulnerabilities in the company's SCADA software. "The Foreign Ministry and other relevant political and judicial organizations should lodge complaints at international courts. The attacking countries should be held legally responsible for the cyberattack," the Iranian official stressed. Jalali, who heads Iran's Passive Defense Organisation, a military unit responsible for defending the country's nuclear facilities, reiterated that the malware was stopped in time before doing any considerable damage. He did, however, acknowledge that had it succeeded, the attack could have resulted in tragic accidents at industrial sites and refineries across the country. This conflicts with an earlier report from the Institute for Science and International Security (ISIS), which claims that up to 1,000 IR-1 uranium enrichment centrifuges were damaged by the malware. Retiring Mossad chief Meir Dagan also said that technical difficulties experienced by Iran delayed the creation of a bomb until 2015.